Very few people could have foreseen that Hideo Kojima’s Metal Gear franchise would still be alive nearly thirty years after the first game was released. 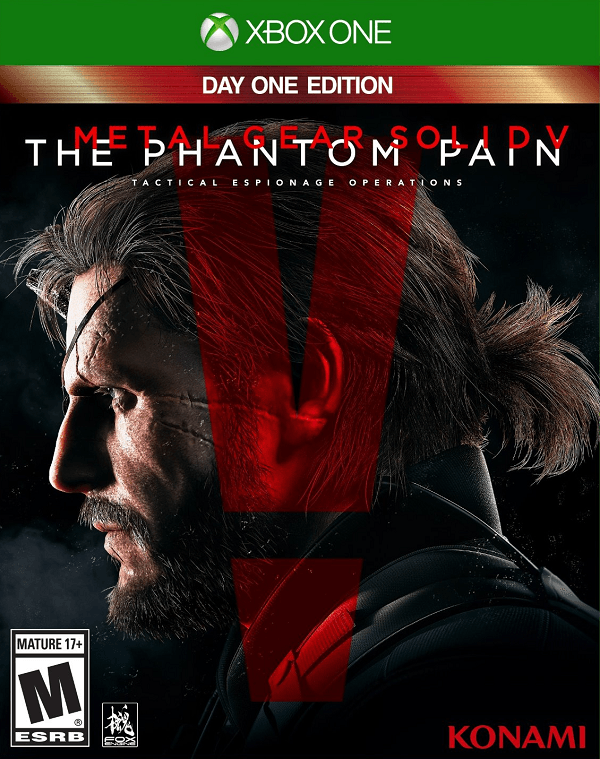 Unfortunately with the release of this game we have seen Kojima’s work with the series come to an end but with the events of Metal Gear Solid 4: Guns of the Patriots wrapping up the latter half of the story, here we are with Metal Gear Solid V: The Phantom Pain and I must say that he chose perhaps the best way to go out with this title. Metal Gear Solid V: The Phantom Pain takes place almost immediately after the events of Ground Zeroes, at least from Big Boss’ perspective. 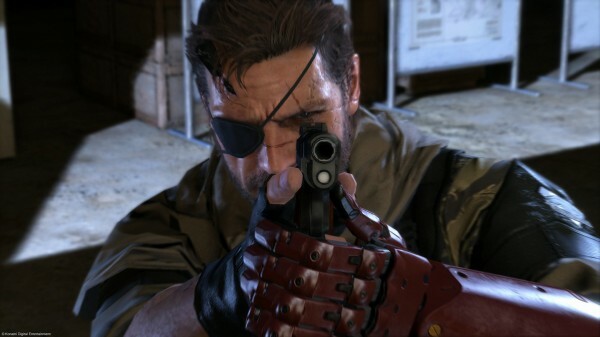 The game opens up just as Big Boss is waking up from a nine-year coma and while he is still barely able to move, it turns out that he woke up just in time for the hospital he was being treated in to come under attack from an unknown force of elite soldiers. With the help of a bandaged individual, Big Boss manages to escape to rescue. 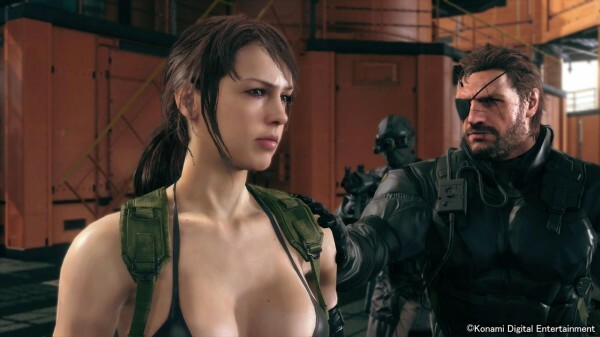 Of course, since their collected forces were nearly eliminated due to the events that transpired at the end of Ground Zeroes, Big Boss, also referred to as Venom/Punished Snake, must start fresh and the first thing he has to do is rescue his old comrade Kazuhira Miller from the hands of the enemy and work on building up a Mother Base that is bigger than before while training his soldiers, the “Diamond Dogs,” in order to get revenge on those who nearly annihilated them years prior. Despite sounding more serious than ever before, The Phantom Pain isn’t a complete departure from the norm for Metal Gear as there are still plenty of silly moments, hundreds of easter eggs, and more to enjoy throughout the game. I must say that Kojima has managed to find a better balance between gameplay and storytelling this time around as it is now possible to play for hours on end and only see a few snippets of meaningful storyline progress depending on how much time you spend messing around in the game’s open world. Altogether, Metal Gear Solid V: The Phantom Pain remains true to its roots and delivers a tale filled with breathtaking action sequences, various levels of deceit and major reveals that span far past the timeline that takes place in this game. In order to not spoil things further, I won’t continue to discuss this part but this title manages to deliver exceptionally well in this regard, though players may need to have a bit of a refresher course to fully understand how everything unfolds in the end. The Metal Gear Solid series has flirted with an open world nature in the past by providing large environments in Snake Eater that provided the illusion of an open world that turned out to still be linear in nature. The Phantom Pain finally tackles open world in its own way and Kojima has already seemed to master it in a way few veteran open world series are capable of. Once you are on the ground it is easy to become overwhelmed by just how massive the open world environment is. 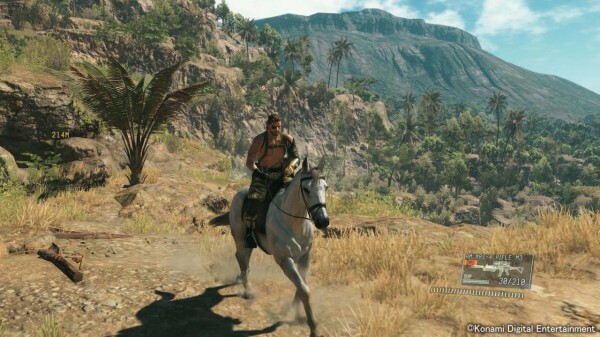 Players can spend plenty of time riding their horse/driving a vehicle/running between locations taking down enemies guarding a checkpoint or systematically eliminating all the forces from an outpost if they choose too, all while looting these areas of resources and skilled soldiers, but more on that later. 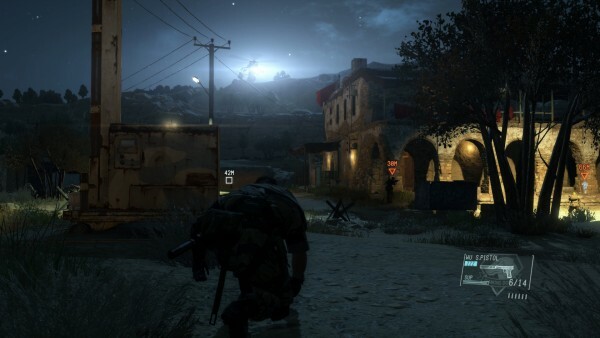 It is easy to see this open world as something that can be difficult to travel around and there are many times that the game will seem to place players extremely far from an objective, especially since missions require the player to only be dropped in at certain points. Thankfully there is also a bit of a quick travel system implemented into the game only it is barely mentioned. By using the trusty cardboard box Snake can travel between outposts as long as the player has previously been there and acquired the invoice for that location. 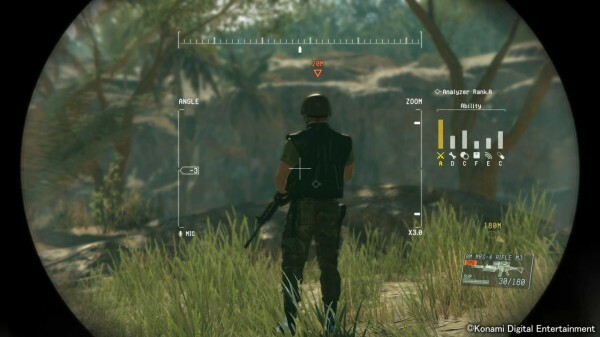 This increases the player’s movement speed across the map which can be essential at times since Side Ops, which are missions that usually provide bonuses of some sort or GMP (currency for development and multiple other things), are often scattered at various locations that can take far too long to travel to and calling in for a helicopter pick up only to have to load back into the map and drop off again is something of an annoyance since there is no option to simply travel to another LZ like with Mother Base. Despite the large nature of the field of operation being rather troublesome at times, it also speaks volumes for the versatility of the game. Players have the option to tackle an objective in almost any possible manner. Where other stealth games may have tried to find a satisfying combination of player styles only for one to end up feeling less satisfying than the other, there are limitless options for almost every mission in the game. Players can opt to play stealthily, taking advantage of the game’s well-honed stealth mechanics, such as crawling in brush, sticking to shadows or using the ever handy box to sneak around patrolling guards, putting them to sleep with tranqs, knocking them out with rubber bullets, or interrogating them for vital information before chocking them unconscious. Such options provide players information about an area as well as possible information regarding troop locations, highly skilled soldiers, where savable prisoners may be kept, the location of an intel file or mission objective, or even valuable resources may be stashed away. Of course the alternative is simply to enter an area eliminating soldiers as you go, interrogating soldiers for information only to stab them in the heart after finding out everything they know. Thanks to such a massive amount of possible customization, it is entirely possible to use a silenced sniper rifle to drop guards positioned in watchtowers, infiltrate the base and sneak up on a guard to learn information about the area, use Snake’s robotic arm’s knock feature to draw guards to a certain location, before tossing out a sleep grenade to put an end to any other forces gathered in the area. While soldiers can raise a ruckus when the player is seen there are a number of ways to take care of this with the best being the game’s Reflex Mode. Whenever Snake is fully seen by a guard time will slow down allowing the player to eliminate the threat however they see fit. Of course if you fail to do so, they will alert nearby enemies and even unsilenced gunshots can be heard by nearby soldiers who will radio into their HQ to alert others. Of course, given the open world nature of the game, players can plan ahead by destroying radio relays at various outposts or dismantling radio equipment creating deadzones in enemy communication. Of course since Snake is far from alone, it is also entirely possible to destroy an anti-air radar and call in air support if you feel like taking down a location as loud as possible. Speaking of support, the Mother Base system returns with a number of refinements. As players gather various materials in the field they can utilize their various teams, built up by making use of the Fulton retrieval system to kidnap unconscious soldiers or rescue prisoners from the battlefield to join his own PMC. This system eventually allows players to go so far as to appropriate tanks, vehicles, and large containers of unrefined material to build up Snake’s private army. Mother Base eventually becomes something of a huge open world map in its own right as players eventually find themselves expanding the base with various teams such as medical, research and development, combat, intel, support, and more. Many of these teams allow players to build better equipment and upgrade weaponry the higher the level is but intel teams will alert Snake to enemy patrol locations and changing weather patterns and the combat units serve as a bit of a mini-game that allows players to send teams out on missions to gather materials. In an interesting fashion, these combat teams can also be deployed to disrupt enemy supply lines making it so guards will no longer have access to the pesky helmets and night vision goggles that they started to order after so many of their men ended up dying due to headshots in the middle of the night. 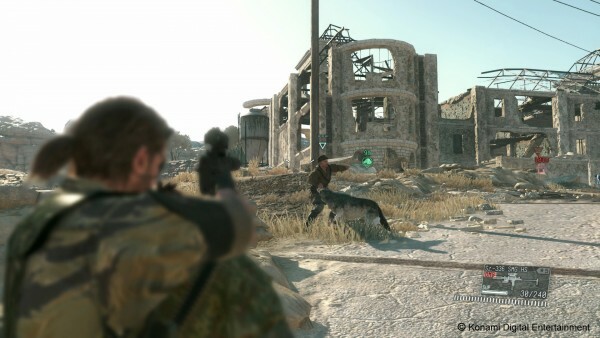 Another element of the Mother Base comes in the form of the game’s online mode which unfortunately has been far from flawless after the game’s launch. 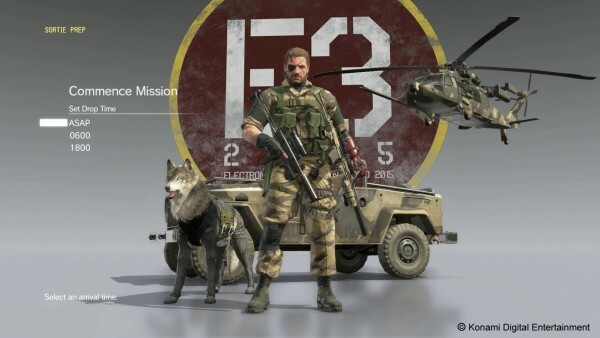 At the moment players can invade other players’ “Forward Operating Bases” that are built separately from the Mother Base and steal various materials and soldiers but due to Konami’s servers being incredibly lackluster, this often becomes a feat of luck more than anything else. When you do manage to connect and stay long enough to actually invade another player’s base it creates a very tense situation as you sneak around trying to steal supplies and hoping that, if you manage to escape, they won’t do the same to you. Much of the anticipation leading into Metal Gear Solid V: The Phantom Pain’s release was how great Kojima’s FOX Engine made the prequel look and it manages to deliver in spades here. While the fields of Afghanistan may not be the most outstanding to look at, the second main area is filled with amazing looking landscapes. This is especially true during certain weather conditions as infiltrating a base during a rain storm or sneaking so close to guards in a sand storm that you can drop them with a simple judo throw makes for some spectacular looking moments. The same thing can be said about most of the game’s character models as they are exquisitely detailed though the same thing cannot be said about the guards in the game as they begin to look extremely similar after a short period of time. There are also a number of graphical glitches that arise from time to time, with the most notable being an issue with a certain platform that is established after I spent some time saving animals from the battlefield (another open world mechanic that it is easy to spend time doing) suffering disappearing platforms that result in Snake falling to his death in the ocean. While many people may have been disappointed to hear that the voice of Snake would be changing in this release, Kiefer Sutherland fits in nicely as Big Boss here as the character is far less vocal this time around while the rest of the cast manages to sell their performances nicely. 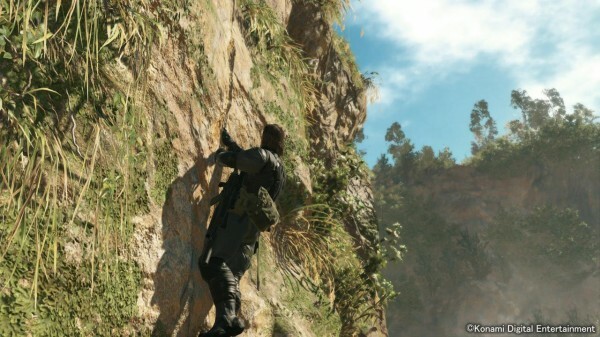 As for the music, not only are a number of great original theme songs implemented in The Phantom Pain, but there are a very large number of cassette tapes scattered around the open world that contain plenty of hit songs from the early 1980s that can be played at any time while you are in the field, even over an in-game speaker system if you are feeling extra confident in your abilities. Then again, it also creates a chance for players to call in their helicopter to rain down missiles and lay down covering fire with machine gun fire while blasting The Ride of the Valkyries out of speakers installed in said helicopter. Metal Gear Solid V: The Phantom Pain may have a few issues here and there and but this is a game that allows the player to tackle nearly every objective however they see fit, whether it means leaving a trail of bloody corpses in your wake or infiltrating and vanishing with no guards the wiser. There are a few missteps late in the story as some missions do force players to retread older missions with extreme modifiers that, while players would likely attempt to do eventually, forces backtracking with major limitations. Despite these few issues, Kojima has managed to create the epitome of what Metal Gear title should be here with The Phantom Pain as this title delivers the best stealth and combat mechanics all wrapped up in a package that Metal Gear fans will adore.